Da'wah is an Arabic word which has the literal meaning of "issuing a summons," or "making an invitation." This term is often used to describe how Muslims teach others about the beliefs and practices of their Islamic faith. "Invite (all) to the Way of your Lord with wisdom and beautiful preaching; and argue with them in ways that are best and most gracious. For your Lord knows best who have strayed from His Path, and who receive guidance" (16:125). In Islam, it is believed that the fate of each person is in Allah's hands, so it is not the responsibility or right of individual Muslims to attempt to "convert" others to the faith. The goal of da'wah, then, is merely to share information, to invite others towards a better understanding of the faith. It is, of course, up to the listener to make his or her own choice. 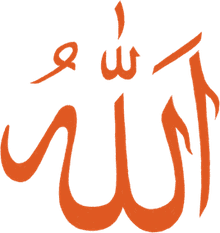 In modern Islamic theology, da'wah serves to invite all people, both Muslims and non-Muslims, to understand how the worship of Allah (God) is described in the Quran and practiced in Islam. Some Muslims actively study and engage in da'wah as an ongoing practice, while others choose not to speak openly about their faith unless asked. Rarely, an over-eager Muslim may argue intensely over religious matters in an attempt to convince others to believe their "Truth." This is a fairly rare occurrence, however. 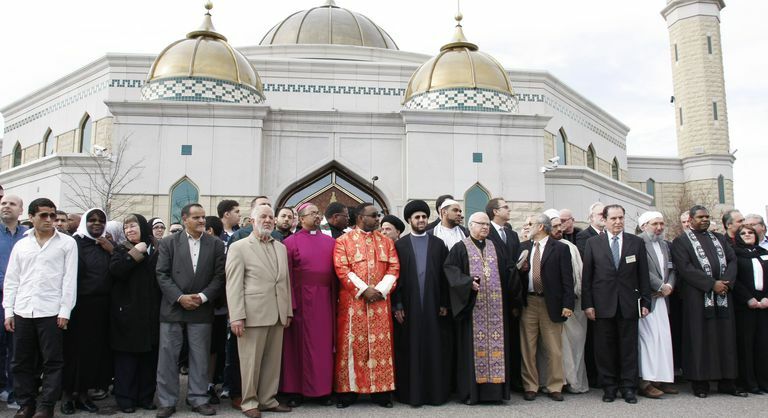 Most non-Muslims find that although Muslims are willing to share information about their faith with anyone interested, they do not force the issue. Muslims may also engage other Muslims in da'wah, to give advice and guidance on making good choices and living an Islamic lifestyle. The practice of da'wah varies considerably from region to region and from group to group. For example, some more militant branches of Isalm regard da'wah as primarily a means of convincing or forcing other Muslims to return to what they regard as a purer, more conservative form of the religion. In some established Islamic nations, da'wah is inherent in the practice of politics and serves as the basis for state promotion of social, economic, and cultural activities. Da'wah may even be a consideration in how foreign policy decisions are made. Although some Muslims do regard da'wah as an active missionary activity aimed at explaining the benefits of the Islamic faith to non-Muslims, most modern movements regard da'wah as a universal invitation within the faith, rather than a practice aimed at conversion of non-Muslims. Among like-minded Muslims, da'wah serves as a good-natured and healthy discussion over how to interpret the Quran and how to best practice the faith. When practiced with non-Muslims, da'wah usually involves explaining the meaning of the Quran and demonstrating how Islam works for the believer. Vigorous efforts at convincing and converting non-believers are rare and frowned upon. While engaging in da'wah, Muslims benefit from following these Islamic guidelines, which are often described as part of the "methodology" or "science" of da'wah. Be friendly, respectful, and gentle. Be a living example of the truth and peace of Islam. Find common ground; speak a common language with your audience. Avoid Arabic terminology with a non-Arabic speaker. Have a dialogue, not a monologue. Clear up any misconceptions about Islam. Be direct; answer questions asked. Speak with wisdom, from a place of knowledge. Keep yourself humble; be willing to say, "I don't know." Invite people to an understanding of Islam and tawhid, not to membership in a particular masjed or organization. Do not confuse religious, cultural, and political issues. Do not dwell on practical matters (first comes a foundation of faith, then comes day-to-day practice). Walk away if the conversation turns disrespectful or ugly. Provide follow-up and support for anyone who expresses interest in learning more.